Some people see the Midwest as a swath of corn and soybean fields. Indeed, there are many of those here in Indiana. But the Midwest also boasts a growing number of small farms with diversified crops and sustainable practices. Kip and Whitney Schlegel own Marble Hill Farm, a 150-acre plot about ten miles southwest of Bloomington. By day, they’re both on faculty at Indiana University — Whitney in Biology and Kip in Criminal Justice. But when they get home from campus, they throw on jeans, lace up their boots, and head out to gather eggs, feed sheep, or move cows from one paddock to the next. 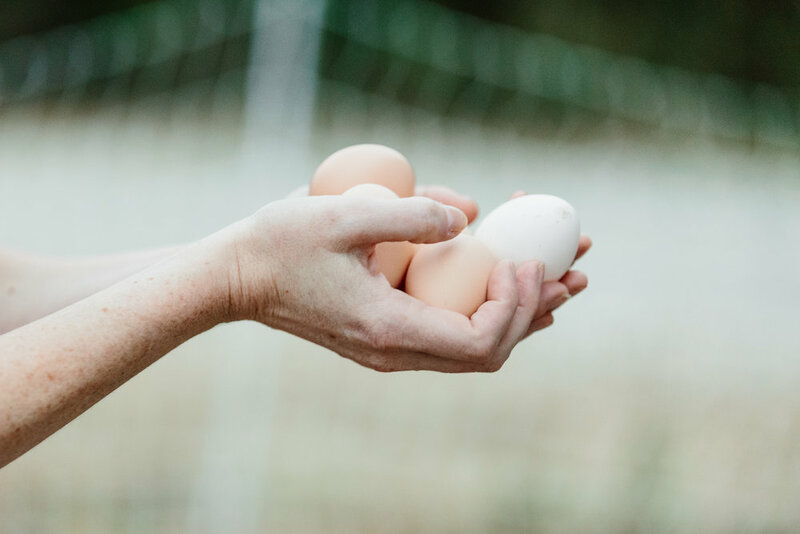 The farm is part of their livelihoods — they sell beef and eggs at farmers’ markets and local co-ops — but it is also an investment in the future of their land and their community. Whereas large-scale, mono-crop farms (“big ag”) aim to get as much as they can out of the soil, Kip and Whitney adopt practices that put nourishment back in. The Schlegels have received grants from the Natural Resources Conservation Service, a partner with the USDA, to install fences, water lines, and other infrastructure that allows Marble Hill Farm to function on a sustainable, rotational model. The specialized fencing is crucial — it enables Kip and Whitney to rotate their cattle, sheep, and chickens among several fields, ensuring that no stretch of land becomes overgrazed. One of the highlights for any visitor is Whitney’s flock of Shetland sheep. They’re a small heritage breed with distinct personalities and a range of fleece colors. In true Shetland fashion, each new crop of lambs is named according to a theme: fruits, herbs, flowers, and (my personal favorite) cheeses — Whitney’s eldest ram is a stately chap named Chevre. That sense of place imbues everything Kip and Whitney produce, including the yarn. Whitney entrusted me with two skeins she had dyed with the willow that grows near their pond and then modified with additional farm-grown dye plants. One, over-dyed in indigo, is a soft forest green. The other, over-dyed with walnut, is a classic tan. These yarns inspired me to design and create the Willow Hat. You can make your own using the pattern below, if you also feel inspired. The Willow Hat’s slanted grid colorwork mimics the fences that define the Marble Hill Farm landscape. Its structure pays homage to farm life, with a doubled-up brim to keep ears warm on brisk mornings and a loop at the top for easy hang-up after a long day’s work. With size B needle, cast on 96 stitches using long-tail cast-on (or preferred cast-on method). Join and place marker at beginning of round. K1, P1…. continue to alternate until end of round. Repeat K1, P1 ribbing for 36 rounds or until piece measures 4.5 inches (or twice your desired brim depth). Switch to size A circular needle. Place every other stitch from cast-on edge onto size B circular needle. Fold brim in half, positioning the cast-on edge behind your working stitches. You’ll be joining these two edges in the next round. Discard size B needle. Place marker on size A needle at beginning of round. For next 16 rounds, follow chart (below). One round = 6 repeats of the 16-stitch pattern. Place markers after each repeat, if desired. After completing chart, resume main color and knit 5 rounds. *K1, K2tog, K19, SSK, PM. Repeat from* two more times. K1, K2tog, K19, SSK. *K1, K2tog, knit until two before marker, SSK. Repeat three times. Alternate previous two rounds until 16 stitches remain. K2tog until 4 stitches remain, removing markers as you go. With 4 remaining stitches, knit an I-cord two inches long (approximately 12 rows). Bind off and pull tail through top of hat to create a loop. Tie off tail to secure loop, then weave in ends. View more of Lindsay's work from The Fiber Archive and in Issue 6 of Drifltess Magazine. The evening will culminate in a dinner prepared by local chefs from Big Woods Bloomington, C3 Bar and Truffles, including vegetarian and vegan options. It is a farm to fork experience you will not want to miss. Co-sponsored by Bloomingfoods Market and Deli, Harvest Moon Flower Farm (featured in Issue 3! ), Big Woods Bloomington, C3 Bar and Truffles. 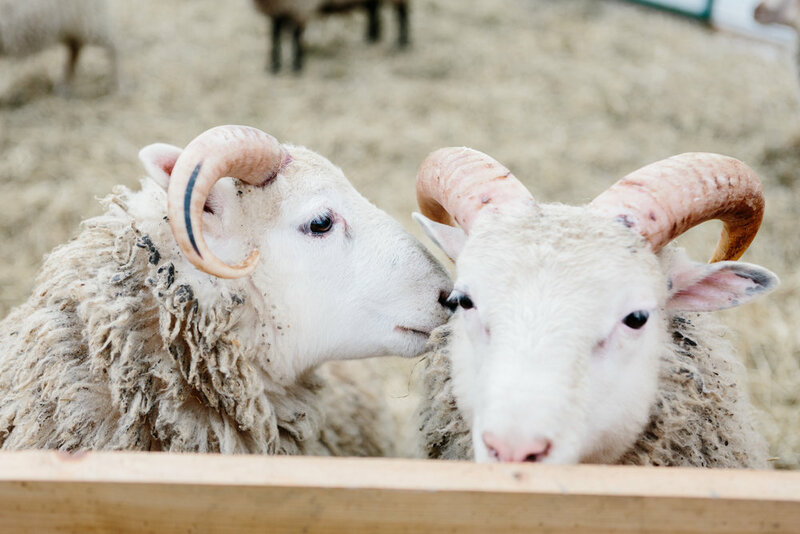 Come share in this community celebration and welcome Spring on the farm with the shearing of the flock of Shetland sheep. Visit with the lambs and learn all about wool with demonstrations and hands-on activities. Discover wildflowers, pollinators and more with scientists and naturalists from our community. Experience small farm life and land stewardship practices that enhance our use of natural resources and support conservation efforts. There will be hayrides, walking tours and farm products available.